How Can Predictive Analysis Help You Grow Your Business? In recent times, one technology which has a huge market demand is Predictive Analysis. The advent of big data and other market challenges force companies to use this technology to predict trends and recognize the factors for better business performance. 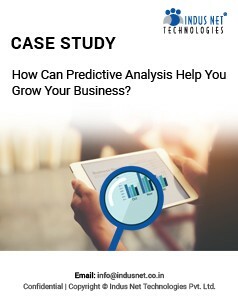 Read the use-case to understand how our client becomes beneficial by using Predictive Analysis to drive business value.